For standard studies such as Core Safety Pharmacology studies, there are quite a few CROs to choose from. With many choices to be had, divide your criteria into two categories: required and desirable in order to simplify the decision-making process. Location – Multiple sites? How accessible are they? If you have to be there, make sure it’s convenient. If not, you may be able to save money. Years in business and experience with model of interest – This can be an indicator of competency, but since the field is constantly changing, new companies may offer competitive service and better state-of-the-art technologies. Size of company – Smaller companies may have more tailored and unique service. A larger company often has greater flexibility in resource allocation. Age of facilities – Old is not necessarily bad, as there tends to be a proven organizational and environmental set-up. Expenses for a new facility aren’t built into their costs, and they may have the opportunity to add sophistication to the existing facility. 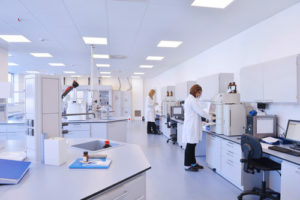 Capability in other preclinical testing areas – Placing multiple studies with the same company may add cost savings, consistency in format, and logistical efficiencies. Pricing – Companies offer a range of prices to be competitive. Some services that may be embedded in the cost may not be needed for your particular study. Ancillary services, e.g. clinical pathology, on site – An obvious convenience and source of efficiencies factored into the CRO overhead and pricing, but which your study may not require. Outsourcing to a secondary facility, as needed may be a cost savings. Number of that type of study per year – This can be another indicator of competency, but a CRO that does fewer studies may be able to offer more personalized attention. Strict adherence to GLP – For core studies, there are no exceptions to this ICH-S7A guideline, but the way every company adapts GLP is different. Education and expertise of key scientists – Is it important to have a PhD as a study director? This may be a matter of personal preference and comfort level. Some of the best study directors I’ve come across have not had PhDs. Technical personnel turnover – The more complicated the study, the more important it is to have low turnover. Establishing continuity, rapport, and efficiency of working can be critical. Capacity for custom studies – A convenience if there are findings in the core study that then require mechanistic evaluation, as the CRO is already familiar with the compound and its issues. This can also be a good indicator of staff expertise. A provider that specializes in only one type of study could offer a greater understanding and knowledge. Careful deliberation of the pros and cons at this stage can be a great time saver in the long run. Once begun there is considerable investment in the CRO relationship, making it difficult to reverse the decision even if the product and/or services are not entirely satisfactory. Sponsors vary in their selection criteria, of course, and for each of the above there are multiple factors to be considered. Carefully determining which criteria are necessary and which are desirable simplifies the decision-making process. We are not a CRO, but we have many contacts and resources to help guide you through the process of finding the right CRO for your project; please contact us.